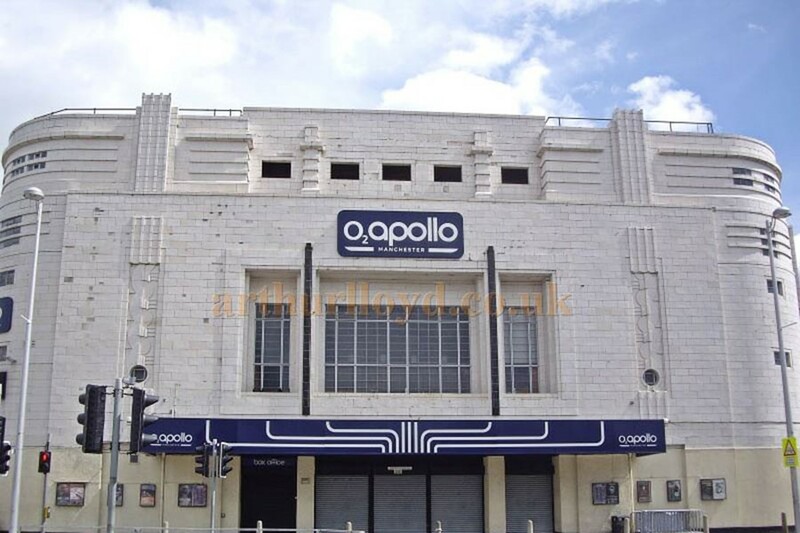 The O2 Apollo Manchester opened on August 29th 1938 and is one of the premier concert venues in England, with shows from every major rock, pop and comedy act on the touring circuit. The breadth of styles of events covers every market - the cutting edge of modern British music, through some of the biggest artists from overseas, popular comedy, and music for older generations. With both fully seated and part-standing formats, this versatile venue increases its footfall and presentations year on year. Art Deco in style, the Grade II listed building has been central to the British touring circuit for decades, attracting Best Venue nominations and patrons from across the globe. Buses: There are frequent buses from the city centre to the venue: 192 / 201 / 203 / 204 / 205. Please check Transport For Greater Manchester for more information. There are two official car parks immediately adjacent to the building both priced £7.00. The larger one off Marshall Street has an overflow car park. The smaller car park on the Hyde Road side of the building caters for our patrons with access requirements, with a limited number of spaces used on a first come first served basis. Both car parks are open & supervised from one hour before the event doors. Spaces and/or tickets may not be reserved in advance. Use Postcode M12 6AJ for satellite navigation. There are four licensed bars (including O2 Priority Lounge). All bars now accept contactless payment.